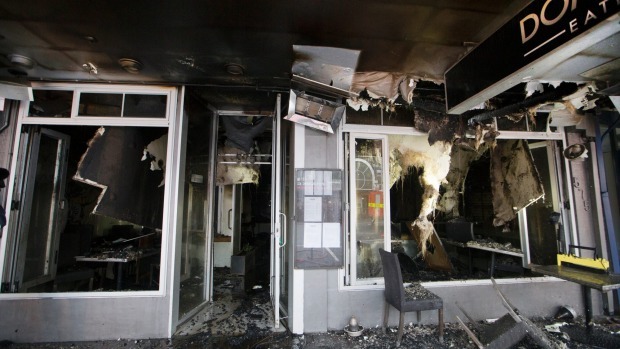 Hamilton restaurant Domaine Eatery has badly damaged due to a fire that was caused by the spontaneous ignition of oil-contaminated tea towels having been removed from a dryer. Waikato fire safety officer Kevin Holmes believes this is a timely reminder for the industry to always use a hot wash when washing tea towels, thus ensuring that the oil is cleaned off. Despite it not being a common occurrence it has previously been reported in New Zealand. Photo: Stuff.